Dear Facebook, what have you done with my wall? I know I complained Facebook was liked a classroom of preschool children all shouting out at once, but your rushed out computer AI attempt to work out what I really want to read and label it 'Top Story' is a mess!!! You've also given me fifteen billion ways to tailor this and make it more complicated as well as making writing a new wall post require a PhD in IT. 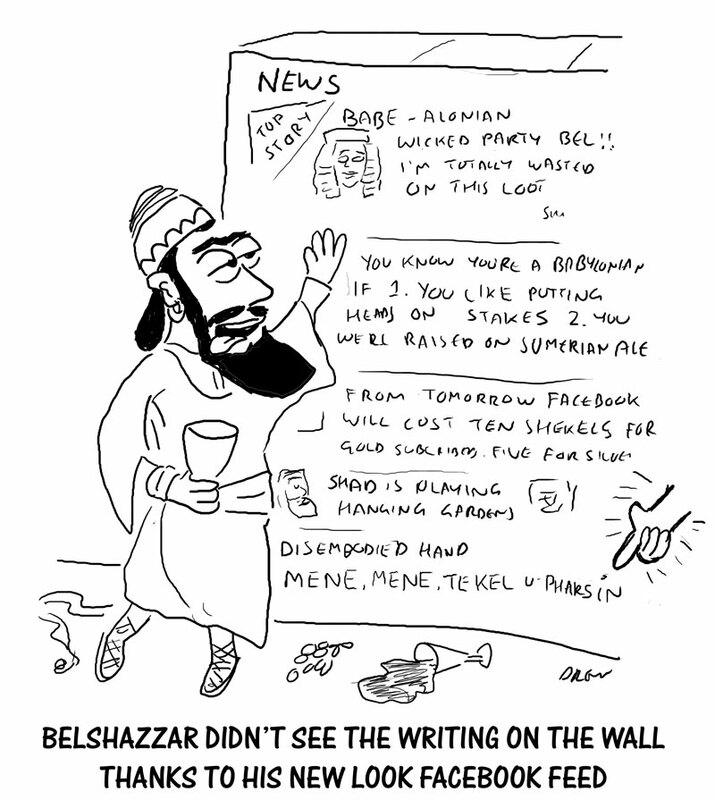 Belshazzar, King of the Babylonians would have no chance reading anything on his wall if you lot were in charge in the 6th century BC (read Daniel 6 for the full story).